The Ergohuman Luxury Leather Mesh Combo is the latest from Ergohuman with Updated Control Arm, 4D Armrests, Chrome Detailing and Upgraded Seat Angle Adjustment. SKU: ERG-LBLM-HR. Categories: Ergohuman Luxury, Leather Office Chair, Mesh Office Chairs, Pre Order. 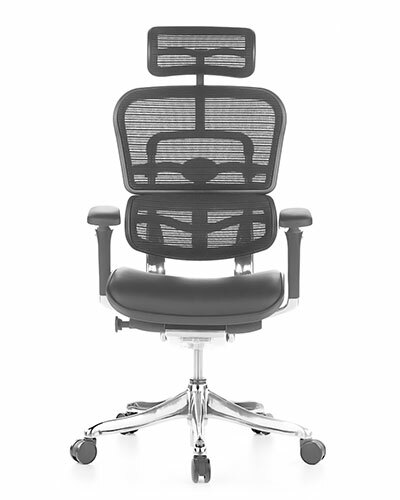 Get the comfort of a padded leather seat base and the support of a durable mesh backrest. The seat base is 100% genuine leather with a moulded foam padded underlay while the backrest features a durable mesh fabric providing full support to the upper and lower back.